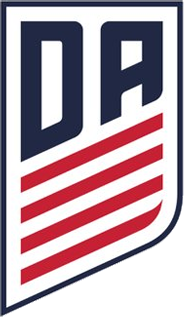 Arlington, VA, March 9, 2018: Arlington Soccer Association announced today that US Soccer has awarded the club a Girls’ Development Academy for the U-13, U-14, and U-15 age groups. In addition, Arlington Soccer is adding another age group (U-15) to its current Boys’ Development Academy. The Girls’ program will begin its Academy membership in the fall of 2018 and will field teams in the U-14 and U-15 age groups and will participate in the U-13 pilot program in the Atlantic Division. The Boys’ program has participated in the Development Academy since 2016. For the fall of 2018, Arlington Soccer will add the U-15 age group to the Boys’ Academy and will field teams in U-12, U-13, U-14 and U-15 in the Atlantic Division. About US Soccer Development Academy: Following a comprehensive review of elite player development in the United States and around the world, U.S. Soccer created the Development Academy in 2007. The Academy Program’s philosophy is based on increased training, less total games, and more meaningful games using international rules of competition. In 2017, the Girls’ Development Academy was launched with a mission to improve the player development landscape and create a pathway for elite female players. The Academy is comprised of teams across six age groups in the Boys’ program: U-12, U-13, U-14, U-15, U-16/17, and U-18/19 and four age groups in the Girls’ program: U-14, U-15, U-16/17, and U-18/19.